Notorious for premium footwear with a quintessentially British feel, Jeffery-West showcase the best in luxury combined with just the right amount of contemporary edge. Playing with tradition is at the epicentre of the label's ethos - with collections teasing the boundaries between sophistication and rascality. In a rich, Gothic palette of monochrome and mahogany, Jeffery-West shoes are inspired by historical sub-cultures and are sure to leave you feeling full of sartorial splendour. 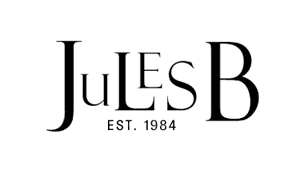 Whether you are looking for Jeffery-West boots to become your go-to option for colder months, or Jeffery-West men's shoes to add to your stylish everyday collection, at Jules B we have everything your fashionable taste requires, and why not invest in a pair of Jeffery-West socks to showcase the label's complete charm.